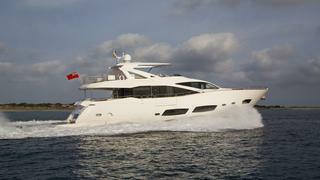 Play the Game a 28.15m Luxury yacht built by Sunseeker in 2014, is now currently available for charter. 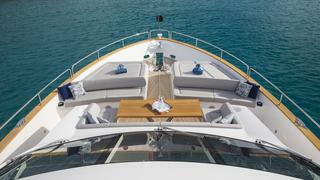 With naval architecture by Don Shead, interior styling by Sunseeker Design and RINA classification; she accommodates 8 guests in a master, 1 VIP, 1 double and 1 twin cabin. 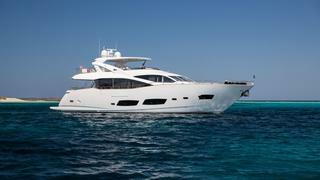 Powered by MTU engines she has a cruising speed of 20 knots and top speed of 29 knots. 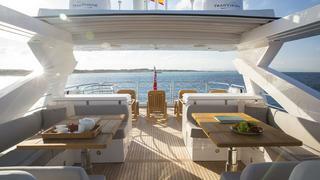 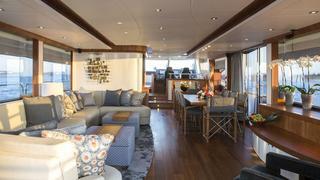 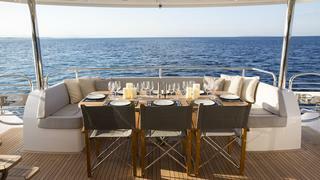 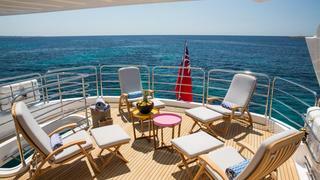 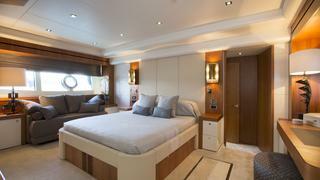 Play the Game is available for charter from €49,500 in the low season to €54,500 in the high season.